Westland London, established in 1969, specialise in fine period chimneypieces, fireplace accessories, fine furniture, lighting, and decorative and architectural antiques. Established by Geoff Westland in 1969, Westland London deals in fine and prestigious architectural and decorative antiques, displaying a vast selection of period chimneypieces, fireplace accessories, lighting, mirrors and much more within the former church of St Michael’s and All Angels in Shoreditch. Westland London has built one of the finest and largest collections of antique chimneypieces in the world spanning the period from the 15th to the early 20th century; the product of over fifty years experience in the trade. 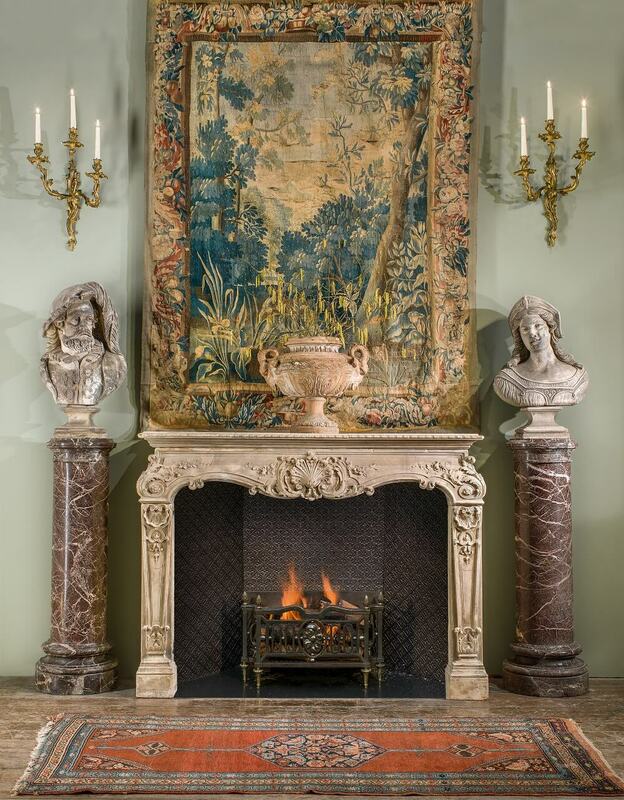 As specialists in antique fireplaces, Westland London has a team of restorers working to ensure that each object is preserved for centuries to come. These craftsmen have over 30 years experience using traditional techniques and antique tools to bring pieces back to life. Founder Geoff preparing the St Michael's Church Showroom, 1978. Ever since, Westland London has been known for its dedication to traditional craftsmanship, ensuring that these skills are not lost and so carrying out restoration of the utmost integrity. 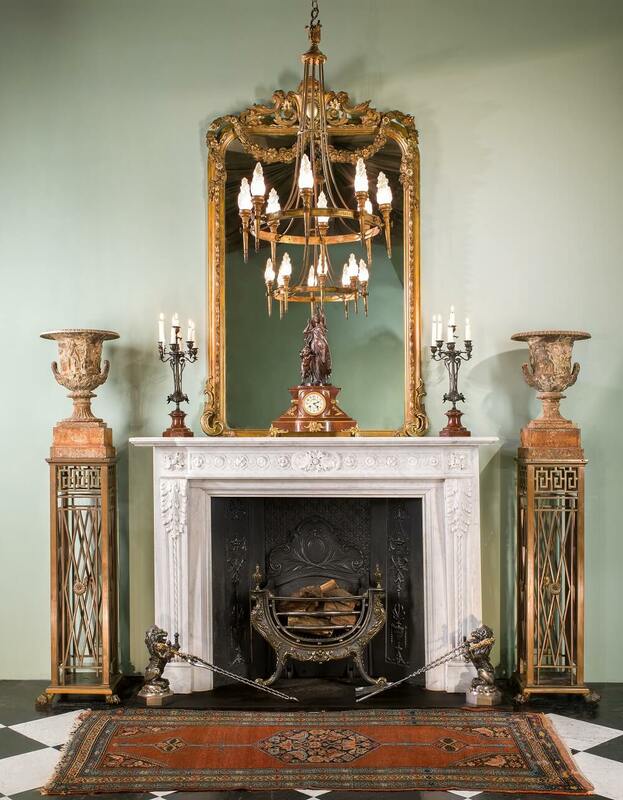 Buying an antique fireplace can be especially challenging and Westland London are always happy to help, whether it is looking at architectural plans, liaising with contractors, making an adjustment to ensure the perfect fit, or just being on hand to guide you through the selection process. Geoff was a great traveller, taking months at a time to search for antiques from all over Europe, utilising his gift for languages and making many contacts along the way. Today, Westland continues to source items from all over the world, in search of the magnificent. Pieces with fascinating provenance are a particular draw to the company. 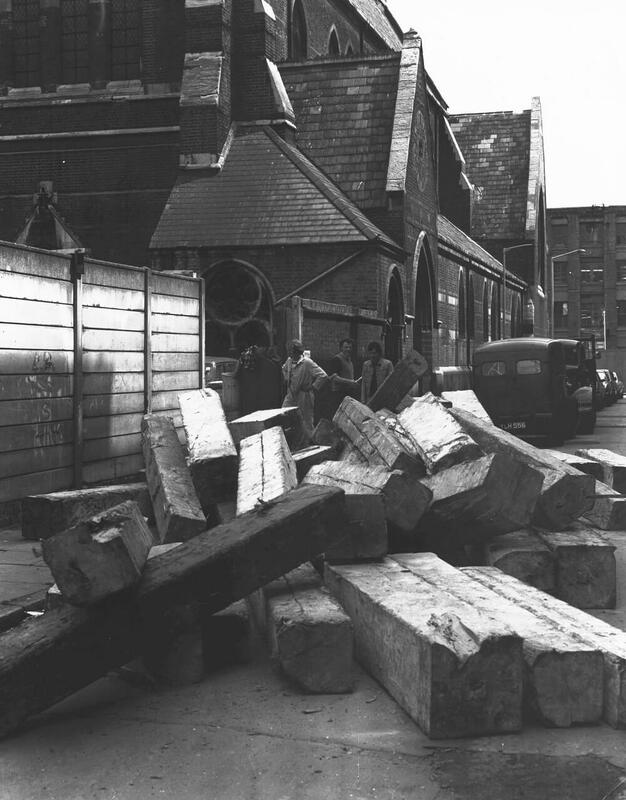 Geoff Westland set up workshops in 1977, when the company was relocated to St Michael’s Church, to accommodate the ever growing collection of antiques and fireplaces. Working with antiques provides tremendous satisfaction and is an immense privilege. Tracing their provenance is an additional bonus, as each piece comes with a tangible, wholly unique, sense of history. Westland London has clients all over the world, shipping pieces internationally whether it is the largest of fireplaces, or the most delicate of chandeliers. Detailed photography and meticulous descriptions allows clients to confidently purchase items without seeing them in the flesh, although the showroom is something not to be missed. Whether you’re looking for something spectacular to finish a room or just to be inspired, Westland is certainly worth a visit. Westland London is a member of LAPADA (London and Provincial Antique Dealers Association).